Don't be held up at the airport and risk a false alarm with TSA. You can print a Travel Communication Card from the UOAA (United Ostomy Associations of America) website, www.uoaa.org. Download the UOAA's new travel card to assist you in passing through security checks. If you are having a hard time locating this on the UOAA website, send us an email at info@parthenoninc.com or visit us at www.Parthenoninc.com to find out more. 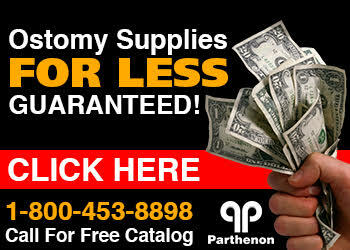 Parthenon sells discount ostomy supplies across the nation and is based in Salt Lake City, UTAH. Request a private area for a personal search and now that we know we will insist that whoever is accompanying me will go along with during screening. Ask the Security Officer to please be discreet about my disability. Ask the Security Officer to change her/his gloves before the physical inspection. Ask for a visual inspection of Medication and related supplies before screening if we choose.